When contacting and working with state and government officials you have to put your best foot forward in order to get the job done. To that end we have compiled some tips to aid in effectively contacting your representative. 1. Abusive language, threats and obscenities will always harm your cause and detract from your message. Remain polite and positive, ask for a specific action, and indicate that you expect a response. Do not forget that legislators, good or bad, are present for the duration of the session and, for many, far beyond. Make sure to leave an open door in the event that you need an audience in the future. 2. Letters, phone calls or emails are most effective when they are directed to your own legislators. Each contact from a constituent represents multiple votes. 3. Contacting the committee chair and members is appropriate only after the bill you’re tracking is assigned to them. Urge them to call hearings if you are FOR a bill. Urge them to delay hearings if you are OPPOSED to a bill. 4. If a bill is scheduled for a hearing, try to make it to the Capitol to testify. You only have two minutes to testify, but reinforcement by different people making different points is very effective. 5. Phone calls from constituents can be very powerful, but also take the time to write a letter or email. Original letters are best. Try to avoid copying someone else’s letter and words. Stick to the issues and remain concise. The first three paragraphs are the most important. 1. Find out your Senate and House District numbers. Do your due diligence first and it will be easier. Think carefully about who should attend the meeting. Attempt to include a bike shop or other industry representative, a public health representative, and an event coordinator or local tourism board member. Contact each to see if they are willing to attend a meeting. Do not invite anyone who will embarrass you. 3. Contact your Congressperson’s local office to set up a meeting. Talk to whoever does scheduling for the legislator. Express that some representatives from the bicycling community would like to meet with the Senator or Representative. Some offices are very responsive; some may never get back to you. Polite persistence does pay off. You may end up meeting with a staffer instead of your Congressperson, but it is worth trying to get to the top. 4. Meet with your team in advance of the meeting. Spend some time together to make sure everyone knows the plan, and to decide who will say what. Contact and get online with BikeTexas to make sure that your message is coordinated so that all bicyclists in Texas are speaking with one voice. 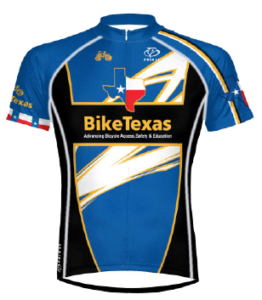 BikeTexas can also provide your group with facts and figures and success stories from across the state. Research your legislator before the meeting so that everyone will have an idea of his/her position on bicycling. Craft your pitch accordingly. Thank the legislator or staffer for something doing something good for bicycling. The public health person should talk about obesity and the decline in physical activity, linking the message back to building better facilities. The bike industry person can talk about the bicycling business and its value for tourism, economic development, etc. Realize that the legislator may be more interested in talking to one representative from your group than the others. Remain ready to clarify facts and figures. However, do not overwhelm them with details if they appear uninterested. Make sure to circle back to the purpose of the meeting. 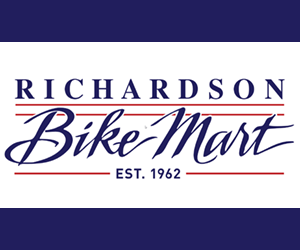 Express that you look forward to working with them further on advancing bicycling in the state of Texas. If you promised to send additional information, do so promptly. Brief BikeTexas by posting about the meeting in our Legislative Lane Bike Forum.